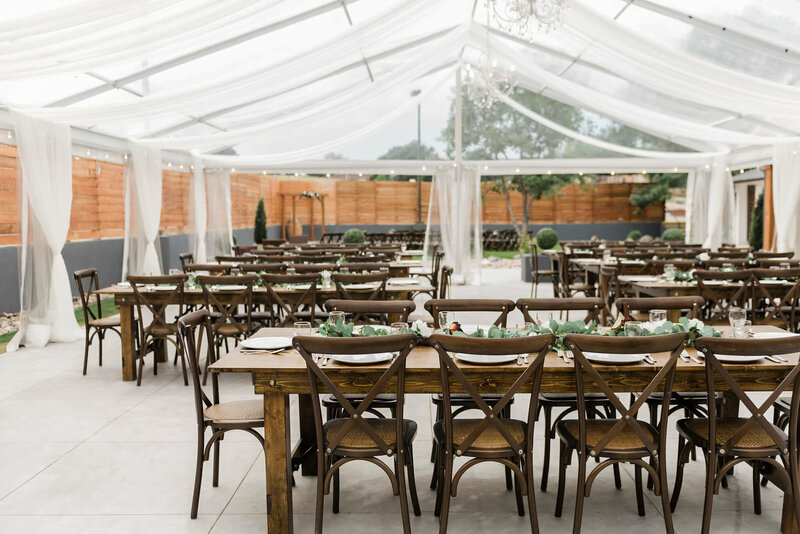 Creekside Event Center is a farmhouse-inspired wedding venue in Colorado Springs with six unique indoor and outdoor spaces capable of holding up to 300 people. With its elegant and rustic Colorado appeal, the various spaces we offer will be a hit with all of your guests. We believe in a zero stress approach to the wedding & event planning process. Our hope for all of our clients is that they would enjoy their engagement season and anticipate their wedding day. We offer both All-Inclusive and Basic options tailored to your needs and budget. Our All-Inclusive package is the most popular package for good reason. It is your one-stop shop for creating the most seamless and beautiful wedding day. 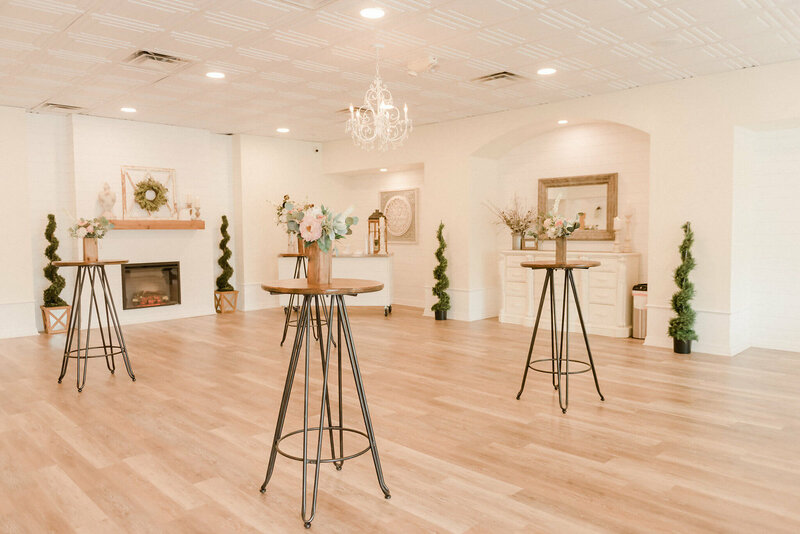 You can use Creekside as a blank canvas to ensure every detail of your wedding day is unique to you. This is the package for a small wedding looking to have that All-Inclusive feel incorporated into their big day. We offer a beautiful clear top tent with bistro lighting and white chiffon draping. We offer multiple packages to fit your need and budget. 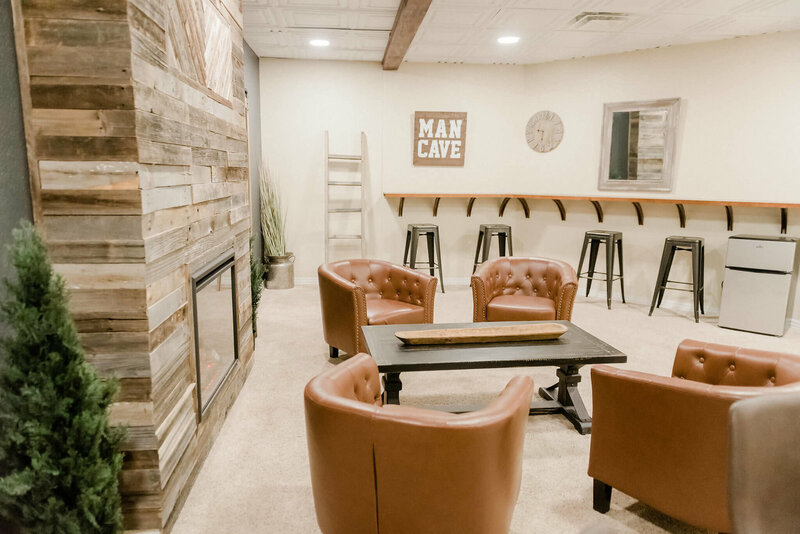 We have six indoor and outdoor options for our couples to choose from. Every space is as unique as you are.  We want to make the day as unique to you as possible. Read our Uniquely You Promise HERE. We had the most amazing 2 day celebration for our wedding at Creekside! The decor at the facility is so beautiful that we only needed minimal decorations brought from outside, which was a big time and money saver! Katie worked with us and was so flexible throughout the entire process. Dancing was a huge part of our event, and I would easily say that Creekside has the best dance floor and lighting system of any I've seen in town! We cannot wait to receive our pictures from the photographer because Creekside and its grounds are stunning backdrops. We hope we get to attend many more events in this special place! Being that we are from out of town Creekside Event Center took care of everything all we had to do was decide which meal or what flavor cake we didn’t have to worry about finding venues hiring outside vendors it was all inclusive it was a beautiful ,beautiful scenery the grounds were amazing the staff was amazing and I would absolutely refer them to anyone who asks for my opinion it was a day that we will never forget and Creekside made it happen thanks guys! 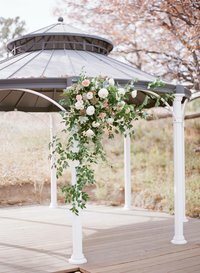 "...the venue, was BREATHTAKING and my wedding was amazing." There arent enough good things I can say about Creekside. From our very first appointment all the way up to our special day, creekside went above and beyond for my husband and I. My wedding was absolutely magical from start to finish. Because of creekside and my amazing coordinator, I did not have to stress about any small details. They handled almost everything with ease and grace. If anything went wrong, I had no idea because they made sure my husband and I were happy all evening long. 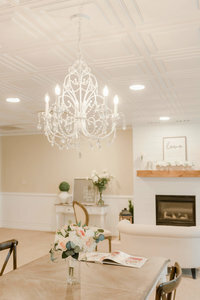 I reccomend creekside to any couples looking to get married! You will not be disappointed! 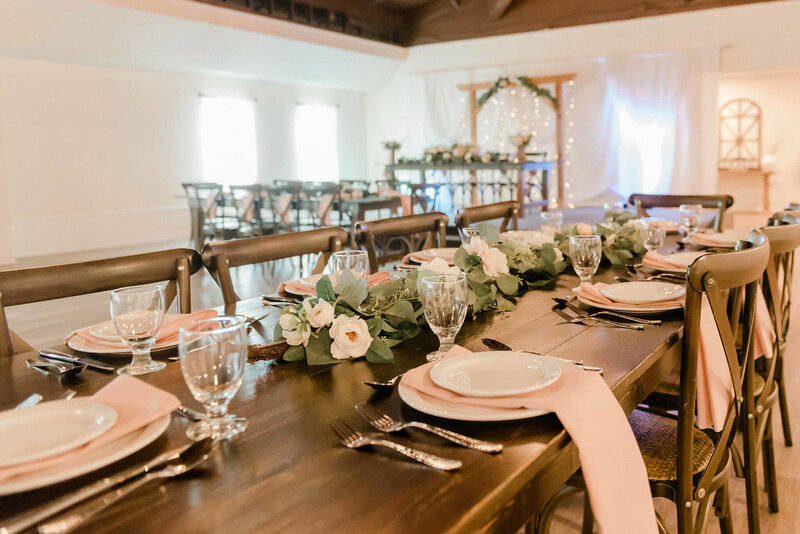 If you're looking for an amazing venue with great staff, great decor and people that genuinely care about you and your wedding day, visit Creekside. You won't regret it. We held two very different ceremonies on consecutive days at Creekside- both had different decor, vendors, style, etc. - and the staff handled all of it with grace and professionalism. Their preferred vendors for food, cake, decor and DJ were all on point and did a wonderful job. The Creekside team communicates and communicates some more to make sure every little detail is executed flawlessly. Thank you for your interest in holding your wedding at Creekside Event Center. Because we operate in a church facility, only ceremonies involving one man and one woman may be held at Creekside Event Center. Any officiant may be used. More information can be found HERE.